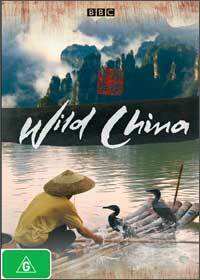 The BBC documentary series “Wild China” has finally sailed its way onto DVD that features the documentary in its entirety. Come on a mystical journey through China as the viewer is taken on a journey through wondrous landscapes and riveting cultures as each episode is based on a historical figure. The creators of this documentary have really fleshed out the diverse country side of China and show the viewer what a wondrous country this is from its natural landscapes to its interesting inhabitants who are totally different from region to next. With perfect timing with the Olympics, Wild China is a great compendium for those wanting to know more about this disparate country and is presented in an understandable format that can be watched by anyone. Where the documentary does excel is from its amazing video quality that almost makes you part of this presentation and truly showcases the colours, cultures and citizens of China. From winter ice lands to tropical islands to deserts, the country of China is an amazing place and this DVD will show you things that most of us never thought existed.